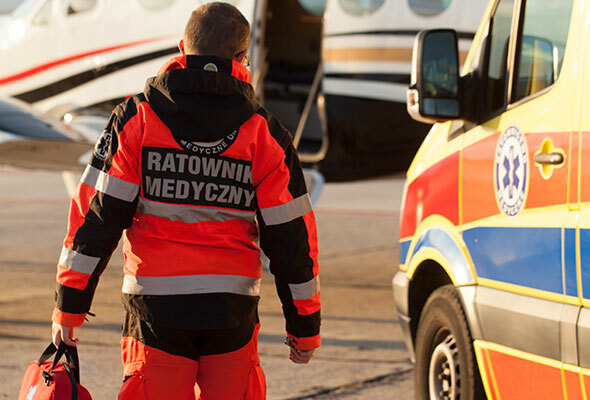 We guarantee a trained medical team, both aboard the plane and the ambulance, consisting always of minimum one doctor, of a specialization appropriate to the order, and one paramedic. 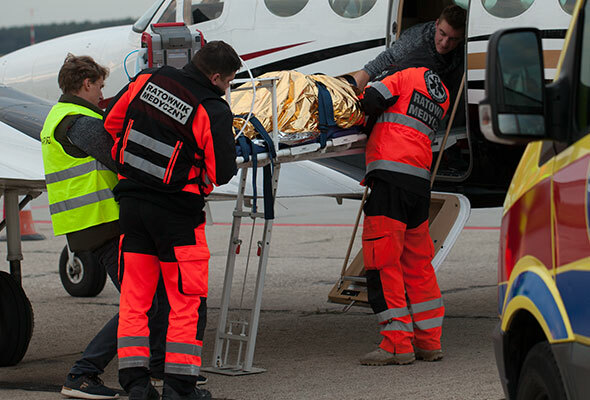 The medical team is constantly expanding their skills, not only in the medical art, but in also in the field of operational issues related to the performance of aircraft medical transport. All this in order to ensure the full compatibility of the Smart Jet MEDICAL TRANSPORT team. As a certified air carrier, we have all the permits required by law, including a license authorizing us to provide services in the field of air transport, on the basis of and within the scope of the obtained certificate. Our pilots have all the qualifications necessary for the performance of passenger flights and also go through a series of courses and trainings, in order to keep their knowledge up to date. An experienced crew with years of airline experience is a guarantee of safety for our passengers. All this, combined with excellent piloting skills, is a manifestation of the organizations’ SAFE & SMART operations philosophy. IF YOU HAVE ANY QUESTIONS OR CONCERNS REGARDING OUR BUSINESS – CONTACT US DIRECTLY OR CONTACT THE CIVIL AVIATION AUTHORITY: +48 22 520 72 00. WE PROVIDE COPIES OF DOCUMENTS AT YOUR DISPOSAL.